Hmmm. Sounds like a great alternative to my current cleaning product. I think I’m convinced! that looks like something we could use around our house. we have all wooden floors and i have to clean them like every day. its nuts. I’ve never heard of this! But, boy, could I ever use some help keeping these floors clean! Hmmm. . . I think I just got an ACE Hardware rewards gift card in the mail. I have two floor cleaning systems. Swifter for the kitchen and bathroom and Orange Glow for my hardwood. Your system replaces both. 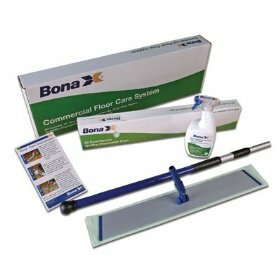 I wish I heard about the Bona first. lol- someone I can relate to. My family thinks I’m crazy because I feel the same way about The Shark that my husband bought me when we got the house. I’ve never heard of this, but I love new and easier cleaning methods. Thanks for the tip!